As oil prices remain high, we are in the midst of a nation-wide initiative to seek renewable sources of energy to increase energy efficiency and energy security. Renewable energy accounted for 13.2% of the domestically produced electricity in 2012. Among the sources of renewable energy is the production of biogas from landfill gas (LFG) or digester gas. The production of biogas is an anaerobic process in which micro-organisms break down (digest) biodegradable material in the absence of oxygen. This biogas is then processed and used as fuel for cogeneration engines or sold to the national energy grid. 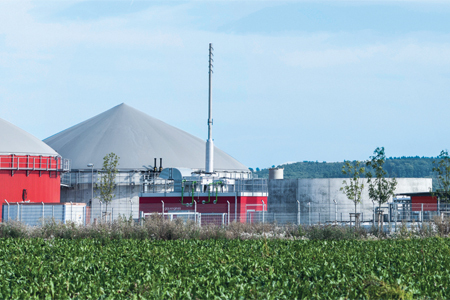 This white paper explains how to accurately measure biogas and manage variable gas composition (an inherently challenging application) and how accomplishing this will both increase a facility's efficiency and its revenue.